Guo Moruo has come (2) and told us that the wrecking of Kuomintang party headquarters and of trade union offices in Jiujiang and Anqing and the slaughter of the people there (3) were directed by Chiang Kai-shek himself. There have been almost 400 casualties in the recent mass killings and individual arrests and executions of Communists in Ningbo, Hangzhou, Nanjing and Shanghai. (4) (Chiang has closed Kuomintang party headquarters and trade union offices, dissolved a municipal government, forced workers to surrender their arms, made a deal with the imperialists and Chinese bankers to float a loan of ten million yuan, organized a gang of assassins consisting of hired thugs and agents from the foreign "concessions", (5) and set up scab unions. He is oppressing the workers, wooing the bourgeoisie, consolidating his political power and getting control of sources of revenue in order to be able to undermine the allegiance of impoverished left-leaning troops. If, despite all his acts of betrayal, we continue to be indecisive, seeking to relax the tension by postponing struggle, Chiang will consolidate his regime in southeastern China and form even closer ties with the imperialists. Massacres have begun in Guangdong. (6) Chiang is receiving 15 million yuan from Guangdong and Shanghai regularly every month. He has expelled Xue Yue, (7) Yan Zhong (8) and other left-leaning officers and discharged or arrested all political personnel, thus causing increasing anxiety among left-leaning troops. Even if the Wuhan government continues the Northern Expedition and succeeds in capturing Beijing and Tianjin, Chiang will have consolidated his regime and many will follow his example; besides, who can be certain that the Japanese imperialists in north China will not provoke a direct clash with the National Government? On the other hand, if the government is resolute in taking punitive action and quickly directs its troops to march on Nanjing, then the 2nd Division of the 3rd Army in Annexing can pin down the 7th Army in Wuhu on the southern bank of the Changjiang River, and parts of the 2nd and 6th Armies, which are reported to have already withdrawn into Anhui, may be used for flank attacks. The 7th Army has no more than ten thousand men. Chen Tiaoyuan (9) has only four regiments, which are still at the front and cannot easily be recalled. If Wuhu fell, Nanjing would tremble. Only five divisions are at the direct disposal of Chiang Kai-shek. And since the dismissal of Xue and Yan the 1st and 21st Divisions have lost most of their combat effectiveness and are now stationed in Zhenjiang and Suzhou. Demoralized by repeated defeats, the 2nd Division is now in Kunshan. Only the 3rd and 14th Divisions remain in Nanjing; how would they be able to resist a force sent cast against them? Half the 40th Army has crossed the Changjiang River, and it is by no means certain that all the remaining troops will help Chiang. The 17th Army was seriously defeated at Yangzhou while sacrificing itself for Chiang. The 17th and 26th Armies both desire to oppose Chiang. When Nanljing falls, Suzhou and Shanghai may be captured without fighting. There- fore, in view of the over-all situation, there should be no further political relaxation or compromise. A gross error has already been committed in Shanghai following the uprising. If we again fail to go forward, our power will be shaken in proportion as the enemy advances and we retreat, and political leadership will fall entirely into the hands of the right wing. That will not only dishearten the left wing, it will also inevitably lead to the total failure of the revolution. Moreover, there must be a plan for the military work in the Southeast, designations for the army units, persons to take charge and arrangements for confidential communications, so that the left-wing officers will have confidence in the central government. (10) Please discuss these matters fully with comrades of the left wing and give us a reply. [A] In the original transcription of this work, the Editorial Committee on Party Literature (Central Committee of the Communist Party of China) opted to separate editorial and explanatory notes into two separate categories, independently numbered relative to (1) the type of note and (2) chronological appearance in the text. Both editorial and explanatory notes are presented in the present transcription in chronological order based solely on the current order of relevance to the selected text. Additionally, the Pinyin (Chinese phonetic alphabet) spellings of Chinese proper names are used exclusively throughout the present transcription to preserve the continuity of the original transcription. 1. A letter to the Central Committee of the Chinese Communist Party, also signed by Comrades Zhao Shiyan, Luo Yinong, Chen Yannian, Li Lisan and others. 2. 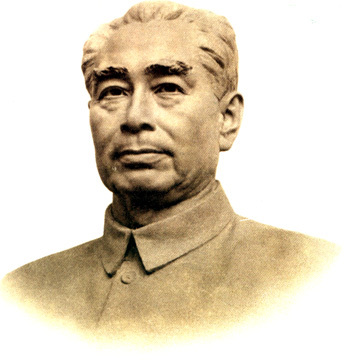 Guo Moruo (1892-1978) was deputy director of the General Political Department of the National Revolutionary Army during the Northern Expedition. Upon the orders of the National Government in Wuhan, he left Jiujiang for Shanghai towards the end of March 1927 to organize a branch of the General Political Department. He arrived in Shanghai on April I4. Having witnessed the counter-revolutionary incidents single-handedly engineered by Chiang Kai-shek in Jiujiang and Anqing, he wrote "Take a Look at Chiang Kai-shek Today" on March 31 in Nanchang, in which he denounced Chiang's betrayal of the revolution. 3. On March I7, 1927, Chiang Kai-shek incited hooligans and dispatched troops to smash and forcefully occupy the Jiujiang municipal Kuomintang headquarters and the office of the Municipal Federation of Trade Unions which were both under left-wing leadership. On March 23, the left-wing-led Kuomintang headquarters of Anhui Province and Anqing Municipality and the preparatory offices of the Provincial Federation of Trade Unions and the Provincial Peasant Association were smashed in Anqing. Many people were injured. 4. On March 20, 1927, the Chiang Kai-shek reactionaries destroyed the offices of the Ningbo Municipal Federation of Trade Unions and its Sales Clerks' Union. On April 9, they smashed the Ningbo municipal Kuomintang headquarters and the offices of the Republic Daily, which were under the leadership of the left wing, and arrested Yang Meishan (a Communist), a member of the standing committee of the municipal Kuomintang headquarters, Wang Kun (a Communist), the president of the Municipal Federation of Trade Unions, and Zhuang Yumei, the director of the Republic Daily. On March 30, they attacked the Hangzhou Municipal Federation of Trade Unions and next day opened fire on demonstrating workers, wounding or killing more than eighty. On April 9 in Nanjing, they destroyed the Kuomintang headquarters of Jiangsu Province and of Nanjing Municipality which were under left-wing leadership and next day beat up and arrested the demonstrating revolutionary masses, killing Hou Shaoqiu (a Communist), a member of the standing committee of the provincial Kuomintang headquarters. On April 12, they perpetrated the bloody slaughter of Communists and revolutionary people in Shanghai. This marked the complete betrayal of the revolution by Chiang Kai-shek and his followers and signaled Chiang's open surrender to the imperialists and feudal forces. 5. The imperialist powers compelled the Qing government to open a number of towns along China's coast and rivers as trading ports and forcibly marked of certain areas in these ports as concessions under their direct administration. Within these concessions they enforced an imperialist system of colonial rule entirely independent of Chinese law and administration. With the concessions as strongholds, the imperialist powers exercised direct or indirect political and economic control over the Chinese fuedal-comprador regime. 6. On April 15, 1927, the Kuomintang reactionaries launched a counter-revolutionary coup d'etat in Guangzhou in which they disarmed the Whampoa Military Academy cadets and the pickets of the Guangzhou-Hongkong strike committee, encircled the Guangzhou office of the All-China Federation of Trade Unions and the Guangzhou-Hongkong strike committee, and arrested or massacred more than two thousand Communists and activists among the workers. 7. Xue Yue (1896- ) was then commander of the 1st Division of the First Army of the National Revolutionary Army. Later, Xue followed Chiang Kai-shek in actively opposing the Communist Party. 8. Yan Zhong (1892-1944) was first instructor and then chief instructor of the Whampoa Military Academy for a time. During the Northern Expedition, he served as commander of the 1st Division of the National Revolutionary Army. After the counter-revolutionary coup of April 12, I927, Yan refused a post offered him by Chiang Kai-Shek. 9. Chen Tiaoyaun (1886-1943) was commander-in-chief of the Third Army Group (northern front) of the First Group Army of the National Revolutionary Army and concurrently commander of its 37th Army. 10. The term “central government” here refers to the Wuhan National Government led by the Kuomintang left wing and the Communist Party.